On-page and SEO, what do these terms mean? If you are new to the field of website development and design, you may have less insight on this matter. But you do not have to worry, this article is going to talk about basic details on create search engine and user-friendly Web pages. So, without further ado, let us start rolling. On-page – It generally involves your site’s content. SEO – It means search engine optimisation, which encompasses strategies that put your site or any of its pages in search engine result pages (SERPs). Next, let us discuss the application of SEO to your website content. Before anything else, you have to know that when Google rolled out its Panda and Penguin updates (algorithm modifications) within 2011-2012, the search engine giant has given much emphasis on relevant and authoritative content. Approximately 70-80% of Web users does not pay attention to paid adverts and instead focus on organic search results. An estimated 75% of these people only check the first page for relevant results. Search drives more traffic to websites by around 300% more than social media. Around 93% of Internet experiences start with a search engine. Furthermore, there are more than 100 billion global queries performed every month. Approximately 82.6% of online users conduct queries. As you can see from these numbers, it pays to have a high ranking. You would not want to be on the second or third page whenever your target audience looks for information. While around 20% of individuals still scroll to these pages, you have a higher chance of getting traffic when you are on number 1. So, how exactly can you land on the first page? 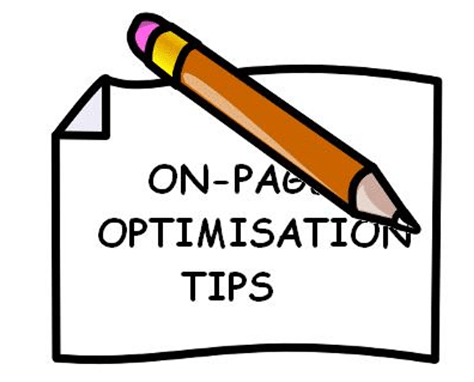 The answer is to apply on-page optimisation tips. It will be impossible for the spiders to index and crawl your webpage if it does not contain proper key phrases. Therefore, you must not forget this element when creating content. At the same time, you must remember these pointers too. Avoid overstuffing the page with keywords unless you want algorithms to think of it as spam. Substitute the terms with modifiers and synonyms to prevent being repetitive. Ensure that there is a natural flow of ideas and words. Put the main keyword in the title that consists of not more than 12 words or 65 characters. Make a descriptive URL with the main keyword too. While spiders cannot decipher the text found on images, such as the “SEO” and “Search” on the image above, they can read codes. So, if you want to make your content look more appealing by adding pictures, you have to take note of these reminders. Create image filenames must contain the main keyword. Make alt tags using the keywords. Through this method, the users can navigate through your website conveniently because you are making it easy for them to view a certain page and transfer to another. Now, there are a handful of ways you can create internal links and the following are the most basic. Place anchor texts – This are words, which you hyperlink to another page on your site. Make a sitemap – This is a formatted file, which helps algorithms search for relevant webpages. Put a breadcrumb trail – This is a text-based navigation, which shows the users a tread of the pages they have viewed. This is, perhaps, the most vital element of on-page SEO since it provides you with high traffic and low bounce rate, that is, if you have compelling information or data to present. Hence, you have to integrate these ideas whenever you come up with content. Focus on fresh and trending topics. Ensure that your articles are unique and original. Appeal to the readers’ interest by adding images or videos. Highlight important points and use bulleted or numbered lists since long paragraphs can seem boring. Always update your content, especially if there are developments or changes with some of the subjects you have written. Place social media buttons to make sharing easy. Prevent other webmasters from duplicating your posts by using canonicalization. You will know that the users are satisfied with your content if your bounce rate is low because this means that they stay long on website. Additionally, they are click on your buttons to follow you on your social pages or share your content to their network. Use 301 Redirect to an updated webpage, especially one that has ranked well in SERPs. Publish your sitemap to any webmaster tool regularly for better content management. Use a crawler that provides you with alerts whenever there are broken links. Integrate a custom 404 page to redirect the users to another webpage, which prompts them to search for related information. So, what do you think? Are you ready to work on a high-ranking website? To conclude this article, you have to know that landing in the first page of search results is not instantaneous; you have to work hard to earn it. 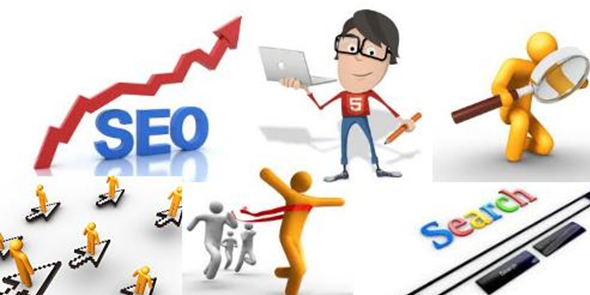 Therefore, have patience and dedication as you stay on top of these on-page SEO techniques. About the Author: Emma Tomlinson is the Head of Retail at Smart Traffic, a leading search agency consisting of SEO specialists who are ready to work with clients from different countries worldwide. I agree, people have become almost blind to advertisement around the site. Most people are looking for information and after reading it, they just dissapear. Also as you mention, alt tags are something that cannot be missed. Thanks for this informative post. Good day, Shalu! I am glad that you found my post informative. And, yes, I agree that many people only search for information because I am one of them too. This is why it is important to focus on relevant topics. As you said, Alt tags are really Important ! I have seen traffic flowing like crazy from google Image search, after I had added alt tags and titles for all images in my blog. Excellent tips, cant wait to try them out! Hello. 🙂 Thanks for the compliment and have fun using these tips. Great Post Abhi , just adding one more point to it. Thank for adding your valuable thoughts, my friend. I hope to see you around my blog more often. Would you mind giving me a hand in my contest? no problem mate , just did it (= good luck , hope you win the contest. Great tips Emma. For the internal linking I use the SEOPressor plugin to remind myself about this. It also helps my guest bloggers to keep this in mind. The best way to create the sitemap is with the Google XML sitemap plugin. Just set it and forget it! I remember using SEOPressor on your blog. I try to do everything SEOPressor suggested me, in my posts. I hope it will help in my SEO. Yep! I have Google XML Sitemap plugin. I installed it when I just switched. DiTesco gave me many awesome, useful suggestions for plugins etc. Thank you, Ileane. And, thanks for the additional insight too. Some new bloggers will find your pointers helpful. Very basic but necessary tips. One thing i can add is that after Google Penguin update one has to be very careful while doing internal linking because unnecessary linking can damage your site. That’s right! Anything in EXCESS is always bad, except in Chemistry lab. LOL! Thank you for stopping by, buddy! Yes, you are right. In SEO, we should consider applying strategies in moderation because too much of these will only put us in the bottom results. Thank you for your additional insight. I thought I was doing most things, but I never have added a description to my images. It looks like I have a lot to do! I recently deleted an SEO plugin to automate internal linking for specific keywords. I thought with all the updates lately, that it may have looked to unnatural. Do you have any advice on WordPress SEO plugins? Should I delete them, or add any good ones? All help greatly accepted and appreciated! Yes, most of us miss adding description to images, even alt and title. But those are important. These are the reasons for a difference in SEO and very good SEO. Which plugin was that, which you deleted, to automate internal linking? If you can go for a paid SEO plugin then I would suggest you SEO Pressor (Affiliate Link) and if you are not willing to pay then I will suggest you WordPress SEO plugin by YOAST. This one works great for me. Many people like another free plugin for SEO names as All In One SEO. But I use the one I mentioned above. I do use the All In One SEO plugin too, but they did different things. I miss using the one I deleted because it gave relevant links in my articles to other important pages. I have hundreds of articles on my site, so it will be very time consuming to go through them all and entering a few links in each. Your most welcome. I think, I can come up with a post about SEO plugins. Stay connected. I hope you read the article I mentioned about WordPress Security. Thank you for coming back. I did read your post about the security plugin, although I do have a lockout plugin installed and have taken security precautions already. Nice post Abhi, my blog is on blogger platform and last month google introduced some seo features which are really welcomed. Thanks for the compliment. 🙂 I hope you can get some SEO ideas from my post. Hi, everyone. First, I want to apologise for taking too long to respond to your comments. We celebrated a long holiday here in the UK, which is why I was MIA. But now that I am back, I am ready to give my thoughts. It’s alright, Emma! But it’s good that you came back. If the author is not there to reply the readers feel alone in a blog. Thank you for replying to all the comments. Very nice advice here – one question on the images – is it also important when you save an image you made say in photoshop to save it with keyword rich word? Of course as long as that keyword is not used excessively on rest of the page where that image is? Hi, Lisa, thank you so much for complimenting on my post. 🙂 As for your questions, here is one thing you have to remember – use keywords on your image filenames reasonably. Some individuals tend to misuse image descriptions by incorporating several keywords in one image, but this is wrong because it can look “spammy”. The best thing to do is create a short descriptive filename, something that best defines the image. In fact, a one-word keyword, such as “SEO”, suffices as long as it is relevant. Nice tips. Specially images are important on SEO too. Optimizing images correctly will improve the amount of visitors to your site. Nice to see you here. Thank you for commenting. Thank you, Sajith. 🙂 Yes, putting images indeed helps with getting good ranking. It’s seems good for newbies but I am already familiar with most of them. Hi, Rizwan. This post is mostly intended for newbies in SEO. If you have advanced tips, we would love to learn about them. Tagging your images is good advice. Leaves some breadcrumbs for people using image searches to find their way to your page. YouTube videos can produce the same kind of results. Sometimes ranking a video ahead of other content is so much easier than trying to muscle your way past some ten year old pr 6 website. Thank you for adding your thoughts. I hope to see you around my blog more often. Great SEO tips and I agree most of the tips that you have had shared here. In SEO, having techniques is the best way to reach the goal you want in SEO field. By the way, I appreciate you for sharing this, thanks! Good day! 🙂 Thank you for commenting and adding your insight on this topic. Hello. 🙂 You’re welcome, and thank you too. Hello Emma Tomlinson, Really Shared the Main Techniques and Tips of On Page SEO. Thanks for Sharing Such a Nice Tips which really helps lot to a Newbie bloggers. Hello, Pulkit. 🙂 You’re welcome, and thanks for your appreciation. SEO is really very important. Thanks for this useful info. Although Google is trying very hard to remove such tactics to gain SEO score. Good tips for producing posts that will cater for the ever hungry search engines. How many internal links do you think is enough to keep the seo spiders happy. – Every page should be reachable from at least one static text link. – Keep the links on a given page to a reasonable number. Maybe you can have at least two links on a webpage to avoid being “spammy”. Good tips! I’d also advise making sure your titles have your relevant keywords in them as well. Seems like that’s one of the current favorites for SERPs at the moment. Yeah, I am doing that already. Thanks for your advice. Keep visiting. Your points are true. Keywords in title tags, img alt tags, H1 tags provide more on page SEO value.